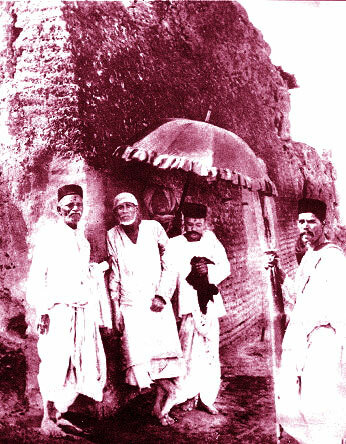 Shirdi was a very small and insignificant village in Maharashtra, quite unknown to most people. It is in the district of Ahmednagar. One has to cross the Godavari river at a place called Kopergaon before reaching Shirdi. 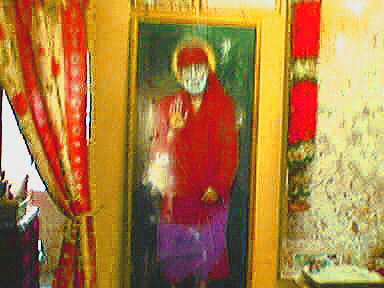 For some inexplicable reason known only to himself, this was the place chosen by the great saint, Shirdi Sai Baba to make his appearance. Today it has become a flourishing town attracting millions of devotees from all over the world because it was on this blessed spot that Sai Baba played his immortal “lilas”. The life of this saint is remarkable in as much as nobody knows his parentage, name, birth place or caste. Many people asked him these questions but he always parried them and refused to answer any question regarding his personal life. He revealed himself under a neem (margosa) tree just outside the village at the middle of the 19th century. He appeared to be about fourteen years of age and was sitting and practicing meditation under the tree for days, without caring for the heat or cold or rain. The simple folk pestered him with questions but all he said was that it was under this tree that his guru had practiced penance. After this the boy disappeared for some years. His next appearance was with a marriage party which was coming to the village of Shirdi from the village of Dhoop. The marriage party was being led by a Muslim called Chand Patil. This man had lost his horse on one of his journeys and though he searched everywhere he couldn’t find it. As he was walking back dejectedly, he saw a fakir (holy man) sitting under a mango tree. The fakir beckoned to Chand Patil who went near and saw that he was preparing to smoke a chillum ( a kind of pipe). He asked Chand Patil what he was looking for and when he heard about the lost horse, he advised him to go and search near the rivulet. To his amazement, Chand Patil found the horse quietly grazing at the exact spot pointed out by the fakir. He realised that the man not an ordinary person. When he returned to the fakir, the latter was just about to smoke his pipe but he had neither of the two things necessary to light it. There was no fire and no water to wet the cloth to put over the pipe. The fakir casually took his stick and thrust it into the earth and came out with a live ember which he put into his pipe. Then he dashed his stick on the ground and immediately water started to trickle out. The Fakir prepared the pipe and drew hard at it and handed it over to the astonished Chand Patil. The latter now invited him to go and stay in his house. This invitation was accepted and in a few days when Chand Patil’s marriage party set out to Shirdi, the fakir also accompanied him. When the marriage party came to the outskirts of Shirdi, it stopped just outside the temple of Khandoba. 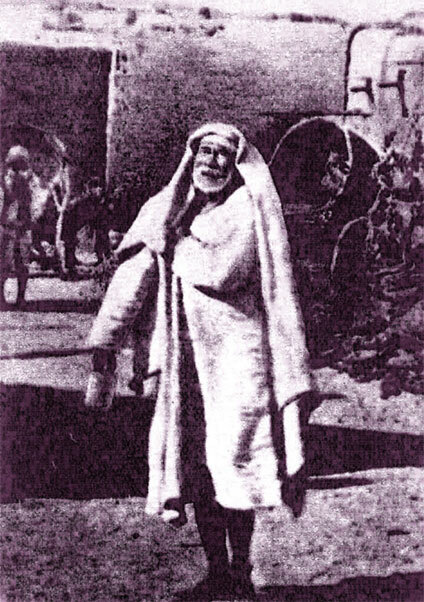 A person called Mahalsapati was the priest of this temple and when he saw the young fakir he was so struck by his looks that he addressed him as “Ya Sai” (welcome Sai). 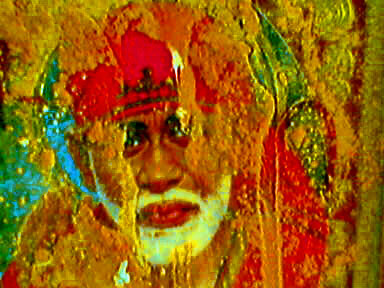 This name stuck to him and ever since people started addressing him as Sai Baba. Nobody knew his real name, if he had one. 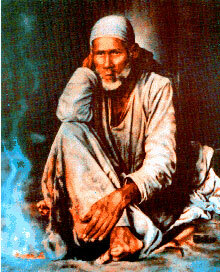 From that day onwards Sai Baba lived in Shirdi till his Mahasamadhi in October 1918. He lived all his life in a broken down masjid or deserted mosque which he called Dwarakamai. He kept a dhuni or sacred fire burning all the day and night and distributed the ashes from this to people with his blessings. This ash had miraculous powers and even today it is capable of curing all ailments. Today Shirdi has become a bustling town to which hundreds of people come to worship at the shrine which contains the mortal remains of the great saint. He had prophesied that his tomb would speak and anyone who came there would be blessed. And so it has come to pass. I had been wanting to go to Shirdi for many years and last August I suddenly decided that the time had come for me to go there. It is said that no one can go to Shirdi without Baba’s permission so I prayed to him to grant my request. Hardly a week later a series of episodes took place which can only be called miraculous. A set of people whom I had never met arranged the whole trip for me. A person who lives in Dubai sent me a mail to say that he would arrange the whole trip and even offered to pay all my expenses. I was quite overwhelmed as can be imagined but decided to play along with Baba’s lilas. I made a booking from Delhi to a station called Manmad which I was told was the closest I could get to Shirdi. I was met at the station by someone with a car and taken to Shirdi where accommodation had been arranged at a very good hotel. I spent three days there and attended what are known as aratis which take place three times a day. Usually one has to stand in a Q for hours in order to enter the temple and take part in the arati. To my astonishment I was given VIP passes for all the aratis, for all 3 days. The chief priest showered me with prasad and even did a special arati for me. He also invited me to his house and gave me special prasad. My first darshan of Baba left me speechless with joy. He looked so beautiful. The statue is made of white marble and looks quite life like. He was seated in his classic pose on a granite stone with his right leg bent over the left and left hand resting on his right foot. I felt he was looking straight at me and smiling. The only thing which upset me was that he was dressed in a green gown and my favourite colour is purple. Needless to say the next time I went for darshan he was dressed in my favourite shade of lavender! The morning arati was a wonderful experience. I was allowed to go by the back way and stand right in front of him. They sing a song to wake him up and again the coincidence, if it can be called such was amazing. They began the whole ritual by using a waking up song for my darling Vanamali! 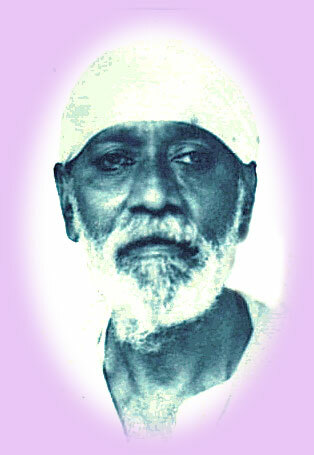 It was as if Baba wanted to assure me that HE was indeed Vanamali and had been waiting for me to come all these years. My eyes filled with tears and I just couldn’t contain my emotions. I knew then that it was indeed true that he was still there calling his devotees to him, blessing them with the fulfilment of their desires, blessing them with enlightenment if that was what they desired. After the ritual was over they started chanting my favourite invocation to Vanamali called the Vishnu Sahasranama. The prasad which was distributed that day was butter instead of their usual stuff which is Krishna’s favourite. There were many such so called "coincidences" but for me they were all miracles. I felt that every moment Baba was watching over me and seeing to my every comfort. 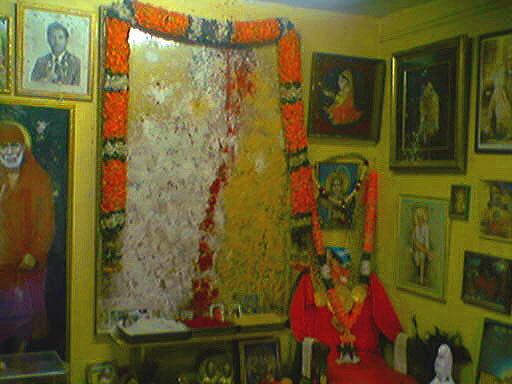 After each puja, the ushers would tell everybody to leave the hall but one morning they somehow overlooked the fact that I was sitting right in front of his shrine and I was able to finish all my prayers before thy spotted me. 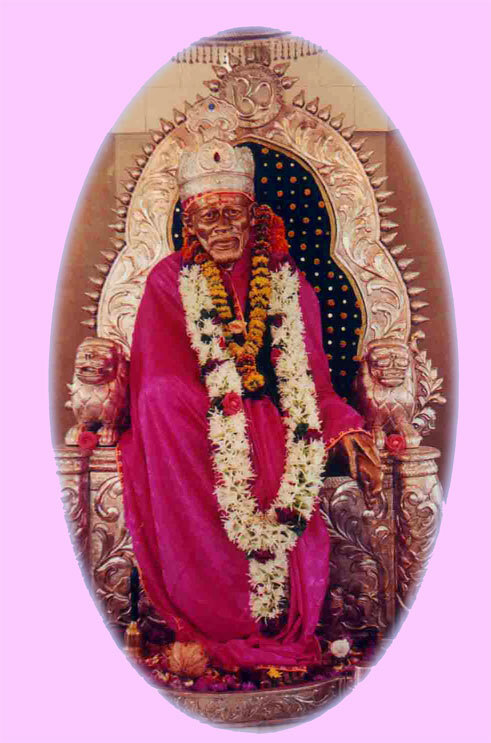 Thursday is a special day at Shirdi as it is in Vanamali ashram. Even on this day I was given front place. On Thursday nights the famous Chavadi procession takes place where Baba’s picture is taken in procession from the Masjid to the place known as the Chavadi close by just as it was during his lifetime. The streets are crowded at this time and it is very difficult even to get a glimpse of the procession but again we managed to get a place right in front of the procession so that we had the best view of it. I know that most of these things may not mean much to all or many or some of you but to me as I said everything was a miracle. 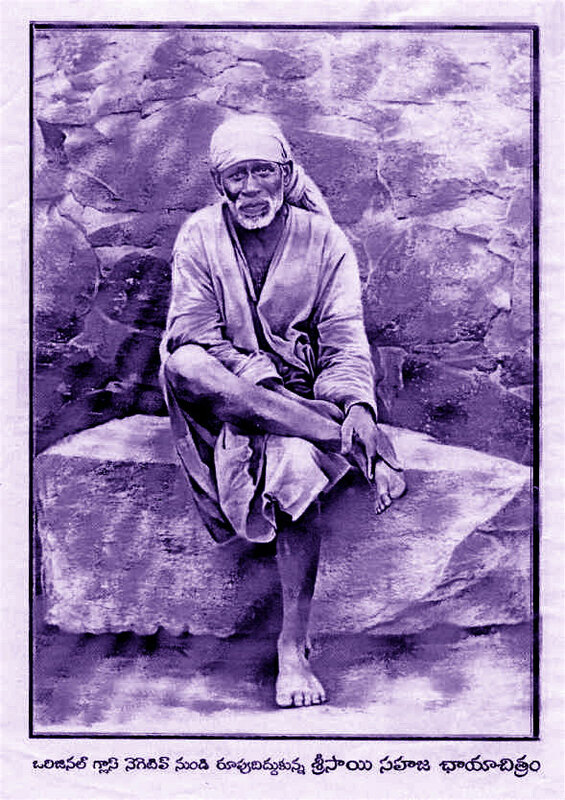 After the three miraculous days were over, Baba arranged that I was taken to many other famous pilgrim spots in and around Shirdi. I went to the Khandoba temple which was where the wedding party had rested. There my attention was drawn to a small doorway over which was written “Mahalsapati’s grandson”. 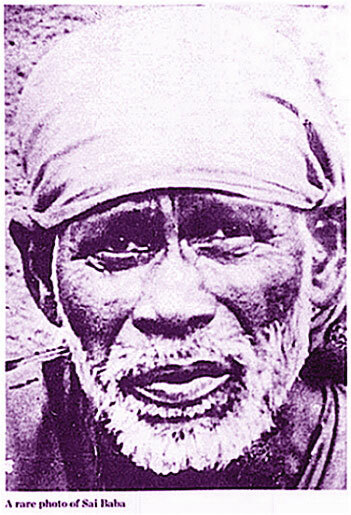 As has been narrated earlier, Mahalsapathi had been he priest of the temple when Baba came with the marriage party and he was the first one who welcomed him and addressed him as “Sai”. So it was possible that his grandson might even have seen Baba when he was alive. I went into the room and saw a wizened old man curled up on a cot. When he saw me he sat up and beckoned. I went near him and he placed his hands on my head and blessed me. I felt that it was indeed Baba who was blessing me. I asked him if he had seen Baba and he said that he had been four years old at the time of Baba’s Mahasamadhi and he had had the good fortune to have been blessed by him and to have sat on his lap. I couldn’t believe my luck. I had been asking the people who were escorting me, whether there was anyone left in Shirdi who had seen Baba but they said that they had never met anyone. Baba had led me to the very person I had been looking for. Baba’s grace is really inexplicable. The people who had been deputed by Baba to look after me took me to many other wonderful spots and at last dropped me back to Manmad station where I took the train back to Delhi. I know that many other people have had such miraculous experiences with Baba but each one feels that her experience is unique. For those who want to visit Shirdi, the easiest way is to fly to Bombay and then take a taxi to Shirdi. It takes about six hours from Bombay. They will be able to make this pilgrimage only if Baba allows it and for this the only way is to pray to him and beg him to give his permission. Once that is given every detail of the journey will be taken care of in a miraculous fashion. 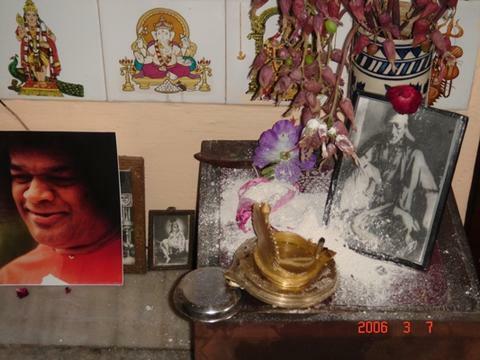 of Sathya Sai and a smaller one of Shirdi Sai. the hem of the robe which was slowly turning purple!! a type of oil keeps oozing and filling a vessel they have kept beneath. in color which they said was good for the eyes. pictures. She said that place was even more powerful. sanctorum and fruits and flowers and a coconut etc. was in a hurry to get home.